20 Paper Clip Hacks for Survival & Everyday Uses – YouTube. Mobile Phone Life Hacks #ad – YouTube. How To Make a Miracle Safe – YouTube. Whipped Cream – Like a Boss! – YouTube. What To Do With Messy Cables – Life Hack – YouTube. 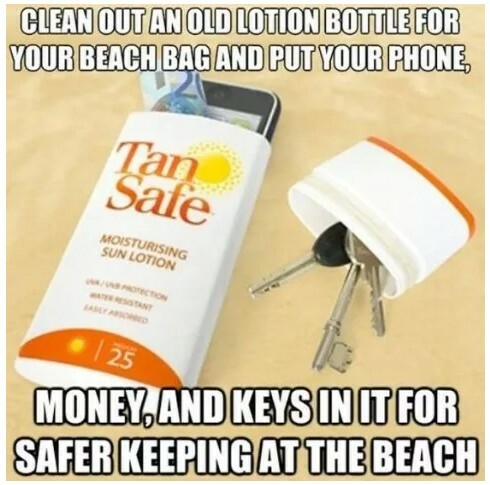 ▶ 20 SUMMER LIFE HACKS YOU NEED TO TRY – YouTube. ▶ Watermelon Karate Chop – Fruit Ninja! – YouTube. How To Make A Mosquito Trap From Yeast and Brown Sugar – YouTube. ▶ A Tip from Illumiseen: How to Prevent Running Shoe Blisters With a “Heel Lock” or “Lace Lock” – YouTube. ▶ 14 Incredible Edible EGG Tricks! – YouTube. ▶ Make a Lamp from an Orange in 1 minute. – YouTube. How To Fold a T-shirt in 2 seconds – YouTube.